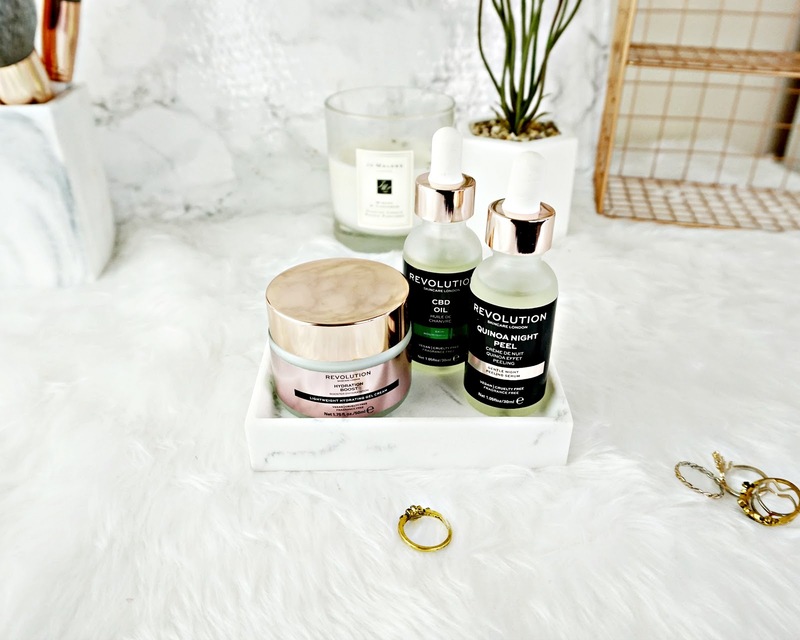 Revolution Beauty or Makeup Revolution recently branched out into skincare. Which excited many of us in the beauty community. Although when I heard about the latest additions I was a little apprehensive, I mean Makeup Revolution are well known for duping everything so I kinda thought they would be duping The Ordinary. Which is already a super affordable brand. But when I saw the products, the packaging and the descriptions they didn't seem that similar. I placed an order and I'm ready to share my thoughts. Ok, so I think the name of this is a bit mis-leading. Because it's called a night peel I expected this to be exfoliating. After using this for a few weeks I didn't find this to be exfoliating at all. So I researched Quinoa in skincare and could't really find anything to suggest this would have a peeling effect on the skin. Instead Quinoa is a protein that helps repair the skin, as well as anti ageing properties. The consistency of this is light and watery. It has the consistency of an oil but not the texture, it definitely feels like water on the skin. It absorbed instantly, and my skin feels dry to the touch. I'm going to be honest, I haven't noticed this doing anything for my skin really. It hasn't had any adverse effects on my skin though so I will continue with it. I'll let you know if I do see any changes. CBD in skincare is becoming a 'trendy' ingredient, more and more brands are releasing products with it in. It's said to calm and sooth the skin. This particular offering comes in oil form. So I've been using this in the evening and I really love this oil! At the moment I don't really think my skin needs soothing as such but this is so nourishing and hydrating! When I use this my skin feels so soft and smooth. The oil itself is quite light, it doesn't absorb instantly but it doesn't feel heavy or suffocating on the skin. It's also rich in fatty acids. This is definitely one to check out. This is described as the perfect all rounder that delivers cooling hydration for all skin types. When they say light weight they aren't kidding. This absorbs instantly, without leaving a film, or any tackiness on the skin. It feels like water. I have dehydrated skin and while I love the fresh feeling of this on my skin. I don't find it hydrating enough for me. But it does leave my skin feeling really smooth on initial application, and because it's so light it makes a great base for makeup. But as the day progresses my skin starts to feel a little dry and tight. I think this would be great for oily / normal skin types. I am actually going to try this as a primer after my usual skincare because I love how smooth it makes my skin. So I will keep you updated on that. From everything I've tried I have found it a bit hit and miss. I do really like the CBD oil, but the over night peel didn't really do anything. I do like the hydrating gel cream but it just wasn't hydrating enough for me. I do still want to try some products from them, because they're so reasonably priced. Have you tried Revolution Skincare? What are you thoughts?